I have always been curious why these old shortening advertisements, made the point to sell it as being "digestible". 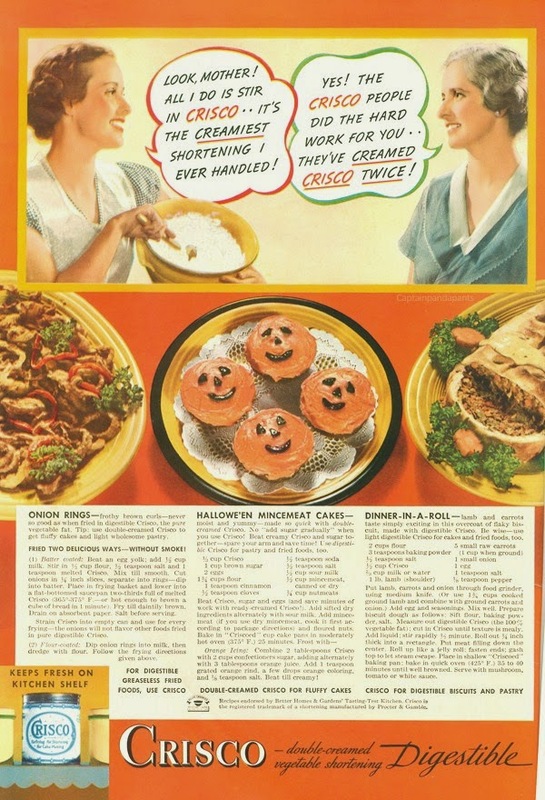 It is just not with Crisco. I have seen it used on other brands too. Was there an issue of shortening not being "digestible"? 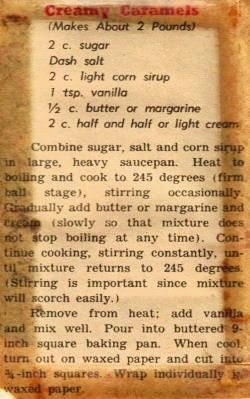 I am going to add in a random newspaper clipping for making caramels. I have not had the best of luck making candy. Yet, I keep on collecting these older recipes thinking one day I will figure it out. I read what looks like a decent simple recipe for Caramel's... and I know I would have an epic failure if I attempt to make this in my own kitchen. Making caramels isn't that hard, it just requires a lot of patience, a candy thermometer, and a big pot so the sugar napalm doesn't splash out when you add the cream/butter. It's not something you can multitask while making. My failure is always the same. But I can make peanut brittle. In the microwave! LOL! I found a recipe that actually turns out every time. What I really want to figure out... is how to make toffee.